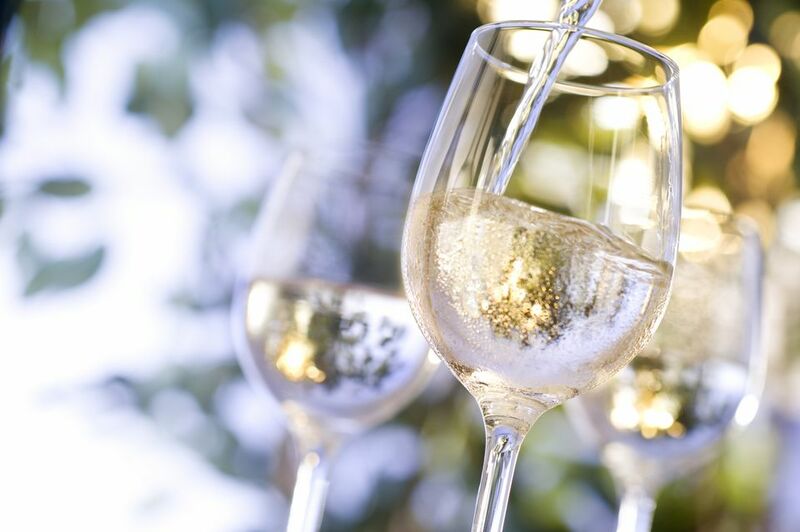 Wine 101: What Is Pinot Blanc? Pinot blanc (or pinot bianco) is a semi-dry white wine that is often compared to chardonnay. It is typically crisp and refreshing and, depending on where it's made, it can be sweet or have nutty flavors. It's very common for winemakers to use the pinot blanc grape when making sparkling and sweet dessert wines as well. You will find that pinot blanc is a fascinating little wine. It doesn't get a lot of attention but is in more wines than you may think. The pinot blanc grape originated from the Alsace region of France. It was modified from the pinot grigio grape, which is a variation of the pinot noir grape. This relationship between the two white wines and the famous red explains the shared name. In France, it is known as pinot blanc (PEE-no blahnk), and in Italy, it is pinot bianco. No matter which name you use, this varietal of white wine grape produces a medium-dry to dry white wine that is familiar throughout the world. Compared to pinot grigio and pinot gris, pinot blanc is rounder and is typically less acidic. The fruit flavors of pinot grigio also tend to be brighter. Generally, oak is not used in the maturation process of pinot blanc. It is typically a still wine, though it is often a base for sparkling wines (particularly in Italy and California) or as a sweet dessert wine such as the Canadian ice wines. Alsace France: Often oaked, the pinot blanc from Alsace tends to be creamy, with almond and a hint of apple and spice. It can also be used for the sparkling Cremant d'Alsace wines of the region. Burgundy France: Burgundy also claims to be the home of pinot blanc, though it is rarely grown there. You might find it in a sparkling wine blend. Italy: Pinot Bianco from Italy is known to be very crisp and light. At times, it is used in blended wines, and it forms the background for the sparkling wine, Franciacorta. Germany and Austria: Known in this region as Weissburgunder ( White Burgundy), the German wines are refreshingly light. In Austria, it is used to make trockenbeerenauslese (TBA for short), which is very a sweet wine because the grapes are not harvested until they shrivel up and the sugars have concentrated (similar to ice wines without the freeze). Pinot blanc is also commonly found in Argentina, Canada, the United States, and Uruguay. Pinot blanc is very similar to a chardonnay in that it has a medium to full body and light flavor. It is characteristically high in acidity, which lends it a sour to tart profile. It's quite a lively wine. Pinot blanc's lighter flavors often include citrus, melon, pear, apricot, and perhaps smokey or mineral undertones. This white wine's softer characteristics make it a good match for foods of a similar profile. The wine will be lost in a meal made of flavorful or spicy foods, so keep the food flavors light and airy. Some good options for a pinot blanc pairing include seafood, light-flavored meats, light to medium sauces (particularly white and butter sauces), and mild-flavored cheese choices.